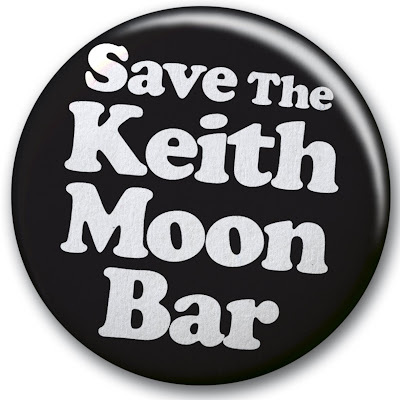 Rough Pub Country: Save The Keith Moon Bar! London's pubs go-ers will suffer another massive blow next week wit the closure of the Astoria and it's legendary Keith Moon Bar. This massive act of cultural vandalism is taking place next week under the auspice of 'progress' - the Astoria is being demolished to make way for the much-procrastinated Crossrail Link (Canary Wharf to Heathrow in less than 45 minutes – yeah, cheers for that!). When the wrecking ball smashes through, it will take with it the Keith Moon Bar, arguably the capital’s most gonzo booze-hole, the scene of a million and one drunken rock'n'roll encounters while the headline band hammers away at something off their second album (you know, the crap one you never played all the way through). The proud home of the worst toilets in all of London, complete with armoured bog doors that wouldn’t be out of place in a Basra branch of Starbucks and a lagoon of piss that needed tightrope precision to navigate; the Keith Moon has been a vital rites of passage experience for anyone experiencing rock'n'roll for the first time. It is also the only place in London to see the truly psychedelic wall mural featuring a series of dead rockers re-imagined in plaster of Paris. Think of the consequences of the Keith Moon Bar going. Never again will you be able to stand beneath a gargoyle-esque rendering of Janis Joplin drinking a can of Red Stripe while trying to ignore Suede Anderson warbling through “Still Life” in the main room. Never will you be able to brush shoulders with the great, the good and the grot – from Damon Albarn to the bloke out of Erasure; from Nicky Wire to the drummer of Airbourne. 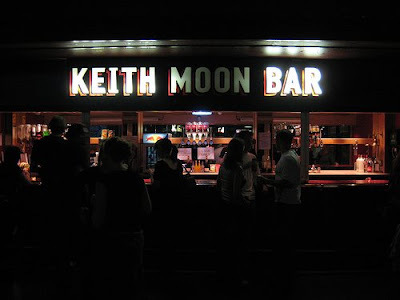 If you don’t like the Keith Moon bar then you don’t like rock’n’roll – it's as simple as that. Help us preserve it. It's what Keith would have wanted. Register your protest or tell us your favourite Keith Moon Bar story in the comments section here or over at the Rough Pub Guide Facebook group.